Homes sales going down in almost much country the national. Housing Bank residential index Residex has shown surprisingly an increase in home prices in the October-December 2012quarter across the 18 cities. R.k.Verma, NHB says will start covering six more cities from janaury-March 2013qaurter.Based n these 26cities we will asses if we could construct a national property price index. Adding further he said the rise in in put costs for developers and sustained inflation is reflecting on the increase in prices in 18 cities. Prices have also been positively impacted by improved infrastructure development in many cities which is also pushing investor demand. The sales of home have been under pressure because over the last few quarters as the overall sentiment in the economy has been slow and interest rates have been high forcing home buyers to postpone their buying decisions. According to a survey done on the labour force in the real estate industry as the work force is moving from the traditional construction and alsoreal estate sector to service industry like banking, telecom, IT and ITES which will lead to a shortage of labour to go up by 65% by the next some years with more work forces moving from traditional brick and mortar industry like the construction and real estate sectors to service industry. Advancement in technology have helped business by making it faster and cost effective the realty industry too is waking up to benefits offered by tech nology and is looking atit as one the solutions to tackle the labour crisis in the market. Citing the reason for the labour shortage knight frank India said, for the last few years the shortage of skilled manpower is on the rise. 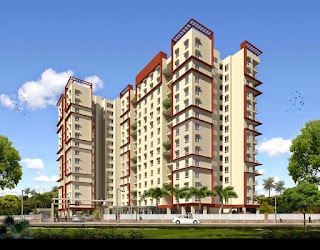 With the urbanizationof rural areas many projects are taking off in the non-metros destinations. Hence the migration has slowed down. With opportunities available closer to home the preference is to stay put. Also over the years many engineers have preferred to take up cushy desk jobs over grueling site jobs. Many engineers have excelled in finance and other glamorous jobs. Many feel that government schemes like the national Rural Employment Guarantee Act (NREGA) are also contributing to the shortage of labour. Support from the government is crucial for the training of skilled laborers. They should promote and support recruiting training institues that train laborers with specific skills.Bringing technology to the real estate industry is a very expensive proposal. The government should lower the costs involved in hiring machines and promote their use in industry. It involves discipline and planning.
. 1. Home loan borrowers are entitled to tax benefits under section 80c and section 24 of the income tax Act. These can be claimed by the property”s owner. 2. in the case of co-owners, all are entitled to tax benefits provided they are co-borrowers for the home loan too. The limit applies to each co-owner. 3. A.co-owner, who is not a co-borrower, is not entitled to ax benefits. Similaly, aco-owner, cannot claim benefits. 4. Housing companies usually require all co-owners to be join borrowers to a home loan. Loan providers specify who can be a joint borrower for a home loan. Co-borrower to claim tax benefits. Section 133A makes it clear that the place to which an income tax authority can enter should either be a place within the limits of the area under the jurisdiction of the said Income-tax authority or any place occupied by any person in respect of whom he exercises jurisdiction or any place in respect of which he is authorised for the purpose of the said section by such income tax authority who is assigned the area within which such place is situated or who exercises jurisdiction in respect of any person occupying such place. In either ease, the place should be one where the business or profession of assessee is carried on. It is immaterial whether the place of business is the principal or additional or subsidiary place of business of profession of a person in respect of whom survey under section 133A is intended. However, explanation below Sub-section (1) of section 133A of the I. T. Act clarifies that a place where business or profession is carried on shall also include any other place whether any business or profession is carried on therein or not in which the person carrying on business or profession states that any of his books of account or documents or any part of his cash or stock or any other valuable article or thing relating to his business or profession are of is kept. Thus at the time of survey, if the concerned person states that any of his books of account or documents or any part of his cash or stock or any other valuable article is or are kept in the office of his Chartered Accountant or Advance or Income-tax Practitioner the Survey Officer can enter such office for the limited purpose of inspecting those books of account or other documents. Similarly if the concerned person states at the time of survey that his books of account or documents or cash or stock or any other thing/article relating to his business or profession are kept in his residential premises or in the premises of some other person, the Survey Officer can enter those premises for the limited purpose of inspecting those books of account or other documents or cash or stock or any other article or thing relating to the business or profession of such person. Thus, the precondition for conducting survey U/s 133A in the premises of a Chartered Accountant, lawyer, Tax Practitioner in connection with survey of the business place of their client is that the client in course of survey must state that his books of account/documents and records are kept in the office of his Chartered Accountant /Lawyer/Tax practitioner. Unless this precondition is fulfilled, the I.T. authority does not assume any power to enter the business premises/office of the Chartered Accountant lawyer/Tax Practitioner to conduct survey under Section 133A of I.T. Act in connection with survey of the premises of their client.  All required sanitary and hygienic measures should be in place before starting construction activities and to be maintained throughout the construction.  A first aid room will be provided in the project both during construction and operation of the project.  Adequate drinking water and sanitary facilities should be provided for construction workers at the site. The safe disposal of waste water and solid wastes generated during the construction phase should be ensured.  All the top soil excavated during construction activities should be stored for use in horticulture/ landscape development within the project site.  Construction spoils, including bituminous material and other hazardous materials, must not be allowed to contaminate water courses and the dump sites for such material must be secured so that they should not leach into the ground water.  The diesel generator sets to be used during construction phase should be low sulphur diesel type and should conform of E(P) rules prescribed for air and noise emission standards.  Vehicles hired for bringing construction material to the site should be in good condition and should conform to applicable air and noise emission standards and should be operated only during non-peak hours.  Ambient noise levels should conform to residential standards both during day and night. Incremental pollution loads on the ambient air and noise quality should be closely monitored during construction phase.  Ready mixed concrete must be used in building construction.  Storm water control and its re-use as per CGWB and BIS standards for various applications.  Water demand during construction should be reduced by use of pre-mixed concrete, curing agents and other best practices referred.  Separation of grey and black water should be done by the use of dual plumbing line for separation of grey and black water.  Treatment of 100% grey water by decentralized treatment should be done.  Fixtures for showers, toilet flushing and drinking should be of low flow either by use of aerators or pressure reducing devices or sensor based control.  Use of glass may be reduced by upto 40% to reduce the electricity consumption and load on air conditioning. 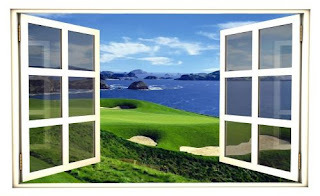 If necessary, use high quality double glass with special reflective coating in windows.  The installation of the Sewage Treatment Plant (STP) should be certified by an independent expert and a report in this regard should be submitted to the Ministry before the project is commissioned for operation. Discharge of treated sewage shall conform to the norms and standards of the State Pollution Control Board. Ground water should not be recharged from treated effluent.  Rain water harvesting for roof run-off and surface run-off, should be implemented. Before recharging the surface run off, pre-treatment must be done to remove suspended matter, oil and grease. Rain water harvesting pit should be atleast 50 meters away from STP.  The solid waste generated should be properly collected and segregated before disposal to the City Municipal Facility. The In-vessel bio-conversion technique should be used for composting the organic waste.  Any hazardous waste including biomedical waste should be disposed of as per applicable rules and norms with necessary approvals of the State Pollution Control Board.  The green belt design along the periphery of the plot shall achieve attenuation factor conforming to the day and night noise standards prescribed for residential land use. The open spaces inside the plot should be suitably landscaped and covered with vegetation of indigenous variety.  Incremental pollution loads on the ambient air quality, noise and water quality should be periodically monitored after commissioning of the project.  Application of solar energy should be incorporated for illumination of common areas, lighting for gardens and street lighting in addition to provision for solar water heating. A hybrid system or fully solar system for a portion of the apartments should be provided.  Traffic congestion near the entry and exit points from the roads adjoining the proposed project site must be avoided. Parking should be fully internalized and no public space should be utilized.  A report on the energy conservation measure confirming to energy conservation norms finalize by Bureau of Energy Efficiency should be prepared incorporating details about building materials and technology, R & U factors etc., and submit to the Ministry for approval.  In the case of any change(s) in the scope of the project, the project would require a fresh appraisal by this Ministry.  The Ministry reserves the right to add additional safeguard measures subsequently, if found necessary, and to take action including revoking of the environment clearance under the provisions of the Environment (Protection) Act, 1986, to ensure effective implementation of the suggested safeguard measures in a time bound and satisfactory manner.  The project proponent should advertise in at least two local Newspapers widely circulated in the region, one of which shall be in the vernacular language informing that the project has been accorded environmental clearance and copies of clearance letters are available with the State Pollution Control Board..
 Environmental clearance is subject to obtaining clearance under the Wildlife (Protection) Act, 1972 from the competent authority. There is glut in the commercial space market in the major metro cities due to poor sales and falling rentals. This has forced some of the Mumbai based realtors to turn the office space projects into homes, which is witnessing relatively high demand. The demand for commercial space has gone down by about 37% across top Indian cities due to slower economic growth , cautious market sentiments leading to higher inventory. More realtors are trending towards residential projects as they can rely on customer advances unlike commercial projects where loans are expensive apart from the burden of private equity partner induction in some cases. Last year, another major real estate developer Godrej Properties, had resized its projects in Ahmedabad and Hyderabad reducing the developable area to 24 million sq.ft. from 40 million sq.ft , focusing on residential area development. The Gold price has crashed sharply due to slowing down of economies across the world. Cyprus is selling gold to tide over economic crisis and Japan is also likely to sell give stimulus to its economy. The gold rates in India for 10grams, which had crossed Rs.32000/- few months ago, has sharply corrected to around Rs.25000/-. This has naturally led investors who were investing in real estate especially in NCR, Gurgaon and Mumbai to invest in gold. According to a stock broking analyst of a leading firm the average gold import in India for the last two years is around $51billion which equals to the annual residential real estate purchase of about $48billion. But, the proposed new policy in SEZ doing away with the mandatory requirement of 10 hectares of minimum land area for setting up an IT / ITES SEZ will now make many IT companies set up their own SEZ. In Chennai and Bengaluru many IT companies who are having large areas can now covert them as their own SEZ. Many companies who have more than 1,00,000 Sq Mtr built up area criteria can now convert the balance land for residential use of their employees. Of late the cases of buyers of apartments getting into trouble due to the lapses of the builders with regard to building plan violations, nonpayment of statutory charges the authorities is on the rise in the city. In a latest case in the Peenya Industrial Area of the city a leading developer has constructed thousands of apartments and sold to the buyers. But, to their surprise and shock more than 900 apartment owners are in trouble as the BBMP has refused to give them khatas, stating that the developer has not paid the betterment charges to the tune of Rs.4.26Crores to BBMP.The pertains to the year 2008 when the BBMP had decided on the charges with the developer and had registered the Khatas.But, the developer failed to pay the charges decided by the BBMP.The civic authorities further say that – inspite of issuing notice in December 2012,the developer has not paid the betterment charges of Rs.4.26Crores to the BBMP. 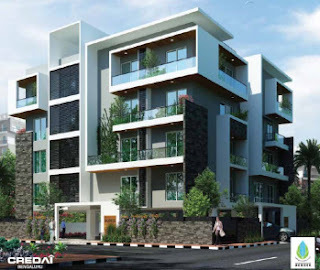 The case of the developer is taken up by the Confederation of Real Estate Developer’s Asssociation of India (CREDAI) and have taken the matter to the Karnataka High Court – contending that at the time construction the area was under BDA and the developer had paid some development charges to the BDA. The CREDAI says the problem is not that of one developer and several others are also in similar postion because of change of jurisdiction from BDA to BBMP. The CREDAI is of the view that in case the Court verdict goes against the developers, then the buyers have to pay the betterment charges as per the clause in the Sale agreement. The buyers of houses/apartments who are in who are in quandary, say at the handing over of the property in 2010-11 the jurisdiction was that of BBMP and hence the developer has to pay the betterment charges. a Joint Venture basis.It was agreed by the firms to that the Mumbai firm would get 35% of profits while the Kolkata firm would take 65% of profit.The Mumbai company staffer allegedly collected Rs.16Crores through forged documents of properties from the general manager of Kolkata compay.When the Mumbai firm stopped responding to their phone calls the Kolkata company suspected foul play and have approached the police. Who can present the document for registration ? such a person duly authorised in manner as stated in Section 33 of the Registration Act, 1908. What should be the language of the document ? used in the district and also by a true copy. How does one obtain certified copies of the registered documents ? the prescribed copying fee is to be paid. The secured creditor or his authorized officer may take recourse to one or more of the measures provided in sec.13(4) of the Act to recover his secured debt who has the following options: He may take possession of the secured assets of the borrower including the rights to transfer by way of lease, assignment or sale. He may take over the management of the securedassets of the borrower, including the right of transfer of lease, assignment, sale. 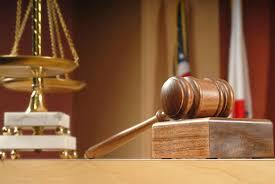 He may appoint any person as the manager to manage the secured assets, the possession of which has been taken over. The secured creditor may require by notice any person who has acquired any securedassets from the borrower and from whom any money is due or may become due to the borrower to pay to the secured creditor so much of the money as is sufficient to cover the secured debt. Both in the case of movable and immovable properties, it is obligatory to serve a notice of thirty days to the borrower about the sale. The notice of sale shall also be published in two leading widely circulated newspapers, of which one shall be of the local language. The public notice shall contain important details of the property, the debt, reserve price, time and place of public auction, earnest money to be deposited etc. The notice shall be affixed on the conspicuous part of the immovable property and may also be put on Website. Sale by any other modes than public auction / tender shall be on terms settled between the parties. After confirmation and completion of sale process, the authorized officer shall issue a sale certificate in favour of the purchaser in the prescribed format. If the secured assets are movable properties, the authorized officer shall take the possession in the presence of two witnesses and ensure that panchanama is drawn and signed by the said two witnesses. The panchanama shall conform to the prescribed format. After taking possession, the authorized officer, shall prepare an inventory of the property as per the format prescribed and shall deliver a copy of such inventory to the borrower or his authorized agent. 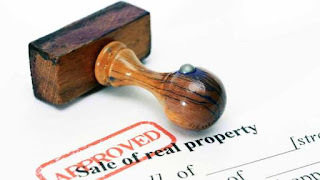 If the property is subject to speedy or natural decay or expenses for keeping such property is likely to exceed the value of the property the authorized officer may sell it at once. It is the duty of the authorized officer to take proper care and take steps for preservation and protection of the assets. If necessary, the assets may be insured until they are sold or disposed of. 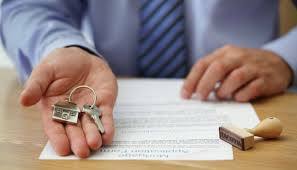 While taking possession or sale of the secured asset, thesecured creditor may request the help of Chief Metropolitan Magistrate or District Magistrate in whose jurisdictions the secured assets fall. Under sec.17 of the Act, the person aggrieved by the actions of the secured creditor, as provided in sec.13(4) may make an application to the Debt Recovery Tribunal, having jurisdiction within 45 days from the date on which action has been taken. Similarly, any person aggrieved by the order made by DRT under section 17 may prefer an appeal to the Appellate Tribunal within 30 days from the date of the order. The party preferring appeal shall deposit 50% of the amount of debt, with a discretion given to the Appellate Tribunal to reduce the amount to not less than 25% of the debt. The provisions of the Limitation Act 1963 are applicable to the Act. Therefore, taking possession of the property or appointing a manager or taking over the management of the securities are to be carried out within the period stipulated in the Limitation Act, 1963. The housing loan borrowers may note that if they default in payment of dues to banks and the loan account becomes NPA, the banks can initiate action under the SRFAESI Act, issue notice to the borrowers, take possession of the building and proceed to realize the dues by sale of the mortgaged property. Therefore, it is suggested that the housing loan borrowers may repay the housing loan as per schedule to protect their property. It is not very easy to defraud the banks and financial institutions by the defaulting borrowers since various statutory protections are provided to the lending banks and financial institutions. The activities of borrowing and lending are inseparable activities and there is a change from Savings based economy to credit based economy not only in individual's budget but also in the budget of a country. When a person borrows money, a duty is cast on him not only to repay the money borrowed but also to pay interest in time at the agreed rate on the amount borrowed. Therefore, so long as the amount due is not repaid, there remains a liability on the borrower and this liability in other words is called the Debt of the borrower. Duty is cast on the lender as well to realize the money lent with interest. In spite of the fact that the lending institutions take precautions and take sufficient security for the money lent, some debts become bad and irrecoverable in the ordinary course of business. Bad debt or non-performing asset would mean an asset or account of a borrower which has been classified by a bank or financial institution as sub-standard, doubtful or loss asset in accordance with the directions or guidelines relating to asset classifications issued by the Reserve Bank of India. Recovery of debts has become a very difficult task for the banks and financial institutions and their bad debts or non-performing assets are on the rise. The process of realization or recovery of non-performing assets (NPA) through the normal process is time consuming. To hasten or speed up the recovery process and keeping in view the alarming increase in NPAs, the Government of India has enacted the Recovery of Debts Due to Banks and Financial Institutions Act, 1993 popularly known as DRT Act. The DRT Act had some deficiencies inasmuch as it did not provide for assignment of debts to securitization companies and the secured assets could not be liquidated in time. Therefore, the Union Government has brought in a legislation called the Securitization and Reconstruction of Financial Assets and Enforcement of Security Interest Act 2002 to remedy the deficiency. It is generally referred to as SRFAESI Act. The SRFAESI Act is not in derogation of the DRT Act. 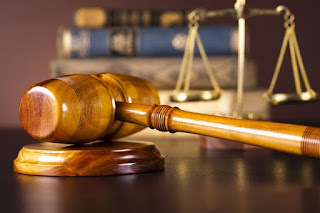 The object of the DRT Act as well as SRFAESI Act is recovery of debt through non-adjudicatory process and to provide cumulative remedies to the secured creditors. The SRFAESI Act provides for setting up of asset reconstruction companies, special purpose vehicles, asset management companies etc. By removing all fetters on the rights of the secured creditor, he is given a right to choose one or more of the cumulative remedies. To give more teeth to the Act, the SRFAESI Act, 2002, has been amended in the year 2004 under The Enforcement of Security Interest and Recovery of Debts Laws (Amendment) Act, 2004, where under certain changes have been introduced in the Act by insertion of amendment or addition to the existing sections. It is made specific in the preamble that the Act undertakes to regulate (1) securitization; (2) reconstruction of financial assets and (3) enforcement of security interest. All these three concepts are independent of each other. The action should be initiated well within the limitation period. If the limitation is due to expire shortly, then it will be proper to institute a suit in a civil court or DRT as per pecuniary limit applicable for such suits. Action can be initiated only where the N.P.A.is Rs.l lakh and above. Section 13 of the Act empowers the secured creditor to enforce the security interest in case the borrower defaults in repayment of secured debts and whose accounts categorized as non-performing asset without the intervention of the court or tribunal. The secured creditor is required to give notice under sec.13(2) of the Act to the borrower to discharge all his liabilities in full, within 60 days from the date of notice. The notice should be comprehensive furnishing full details of the amount due and secured assets intended to be enforced. Upon receipt of the notice under sec.13(2) of the Act, no borrower shall transfer by way of sale, lease or otherwise any of his secured assets referred in the notice without prior written consent of the secured creditor. The notice may be served by delivering, or transmitting at a place where borrower or his agent is empowered to accept the notice or documents on behalf of the borrower. It may also be delivered or transmitted where the borrower actually or voluntarily resides or carries on business or personally works for gain. The notice may be sent by registered post acknowledgment due, by speed post, by courier, or any other means of transmission of documents like fax message or electronic mail service. If it is found that the borrower is avoiding the service of the notice, or the demand notice, or the service cannot be made, a copy of the demand notice may be affixed on the outer door or some other conspicuous part of the house or building of the borrower or his authorized agent. The demand notice may also be published in two leading newspapers having good circulation in the area, out of which one shall be in local language. Under Section 13(3A), if, on receipt of the notice under sub-sec. (2), the borrower makes any representation or raises objection, the secured creditor shall consider such representation or objection and if the secured creditor comes to the conclusion that such representation or objection is not acceptable or tenable, he shall communicate within one week of receipt of such representation or objection the reasons for non-acceptance of the representation or objection to the borrower, provided that the reasons so communicated or the likely action of the secured creditor at the stage of communication of reasons shall not confer any right upon the borrower to prefer an application to the Debt Recovery Tribunal under sec.17 or the Court of District Judge under sec.17A. 19. Right of borrower to receive compensation and costs in certain cases: If the Debt Recovery Tribunal or the Court of District Judge, on an application made under sec.17 or sec.17A or the Appellate Tribunal or the High Court on an appeal preferred under sec.18 or sec.18A, holds that the possession of secured assets by the secured creditor is not in accordance with the provisions of the Act and rules and directs the secured creditor to return such secured assets to the concerned borrowers, such borrower shall be entitled to the payment of such compensation and costs as may be determined by such Tribunal or Court of District Judge or Appellate Tribunal or High Court referred to in sec.18B. If the borrower / guarantor pays the dues in full, no further action under the Act is necessary. If dues are paid only partly and the borrower/guarantor seeks further time, the authority may decide further action with due consideration of law of limitation and the borrower or guarantor intimated accordingly. If the borrower/guarantor fails to meet their liabilities in full within 60 days from the date of the notice, the bank / financial institution can initiate action to enforce the security rights conferred on it by the Act. Of late the cases of buyers of apartments getting into trouble due to the lapses of the builders with regard to building plan violations, non payment of statutory charges the authorities is on the rise in the city. Acceptance letter : Letter submitted by the borrower accepting the loan as per the terms mentioned in the sanction letter. Advance EMI : Number of equated monthly installments in the form of post dated cheques, paid out in advance at the time of disbursement of loan. Amortisation schedule : This gives details of the prin­cipal and interest payments and the amount outstanding at any given point during the amortization period. The period of time for which a bor­rower owes interest and prin­cipal to his lender is called the amortised period. Annual rest : Here the EMIs are calculated on year­ly basis. The interest is cal­culated on the outstanding principal at the beginning of every year. Once the interest is calculated at the rate charged to the customer for the entire year it is deducted from the EMIs received dur­ing the year. The balance EMI is taken as principal re­paid during the year, and this is deducted from the opening balance of the principal of the current year to arrive at the opening balance of principal for the next year. Appreciation : An in­crease in the value of a prop­erty due to changes in mar­ket conditions or for other reasons. Asset : An immovable or movable property or any­thing with a rupee value that you own, which can be used as security against which credit can be offered. Appraisal : A professional opinion of the current mar­ket value of a property. Breach : Violation of any legal obligation is termed as breach. Balloon loan : A loan that has a fixed rate of interest over a period of time. At the end of the balloon period, the borrower must refinance or pay off the remaining bal­ance. Bounce charges : Charges levied by the housing finance company in case cheques submitted by the borrower get dishonored. Collateral : Refers to an as­set that can be used to guar­antee the repayment of a loan. The borrower risks los­ing that asset pledged as col­lateral if he defaults on loan repayments. Credit report : A report of an individual's credit history that is used by a lender to de­termine a loan applicant's creditworthiness. Co-applicant : A co-appli­cant applies for the loan jointly with you. It is usually the spouse or parent, whose income can be clubbed with yours to enhance your loan eligibility. Deed : A legal document used to transfer the owner­ship of a property. Default : Failure to meet legal obligations in a con­tract, in this case, failure to make the monthly payments on a mortgage. If this hap­pens, the borrower can end up losing the property. Down payment : Housing finance companies normally lend only 80-85 percent of the value of the property. The balance, known as down payment would have to be paid by the buyer, as a pay­ment before he draws the loan amount. Eligibility : Amount that can be lent to you by the bank based on your repayment capacity. Your eligibility de­pends on the norms set by the bank and computation is based on any of the following : loan to value ratio, install­ment to income ratio or fixed obligation to income ratio. Encumbrance certifi­cate : Contains details of transfer of ownership of a property in succession up to the current owner. It shows the date, the names of the parties involving the amount of consideration, the extent and schedule of the property. It can be procured from a sub-registrar's office for a fee. Encroachment : An illegal intrusion onto someone else's property. Equated monthly in­stallments (EMI) : Loan repay­ments are usually in equal monthly installments over the tenure of the loan. Foreclosure : This is a le­gal process by which the lender or the seller forces a sale of a mortgaged property because the borrower has not met the terms of the mort­gage. This is a measure for repossession of prop­erty if the borrower is un­able to keep up his financial commitments. Fixed rate of interest : An option where the rate of interest remains fixed over the tenure of the loan unless there are some clauses added. It is an ideal alterna­tive in situations when you expect the rates of interest to go northwards. Guarantee : A guarantee is an assurance by someone to pay a debt contracted by another if the original party fails to pay according to a contract. Income to installment ratio : Used to compute loan eligibility, this ratio signifies the percentage of the income that can be set aside for re­payment of the loan under the assumption that around 50 percent of the income is required by the person for his own sustenance. Interest rate : Rate at which the lenders charge interest for the loan amount. Insurance for property : The insurance company pro­tects the insured property against specified losses, such as fire, windstorm and floods. IRR : Internal rate of re­turn is the rate at which the lender accounts for interest. License for construc­tion : It is the permission in writing to construct that is issued along with the loan ap­plication. Lien : A legal claim against a property. Lease : Contract by which the owner of an asset lets it out for use to another for a specified time on payment of a specified amount called rental. Loan to value ratio : The relationship between the amount of a loan and the ap­praised value of the property, expressed as a percentage of the value. Margin money : The dif­ference in the total cost of the property and the loan amount sanctioned is termed margin amount. This money has to be invested by the bor­rower even before the loan amount is released. Market value : Value of the property in accordance to the prevailing market rates. Monthly rests : Here the balance amount is calculated on monthly basis. The EMI is broken up every month to arrive at the opening balance of the principal for the next month. Mortgage : A legal document that pledges a property to the lender as security for payment of a debt. Penal interest : Penalty in the form of interest charged on installments if it is not received as per the repay­ment terms by the end of the month. Power of attorney : The power you can give a speci­fied person or persons to act for on your behalf. The per­son who is so represented is called principal. The person who is so authorized to do or represent is called agent. Pre EMI : Monthly repay­ments to the bank in the form of EMI for the loan will begin only after the loan has been disbursed in full. Till such time the borrower has to pay interest for the loan amount disbursed. This amount of interest payable every month is called pre-EMI. Prepayment : If a borrow­er has surplus funds he can pay back the loan ei­ther in parts or in full. This is called prepayment. Some banks charge a pre-payment penalty while others have a cap on the number of times that a person can prepay his loan amount during a finan­cial year. Prepayment penalty : This additional fee is charged by most banks in case the borrower decides to pre-pay the loan before the tenure is over. Refinancing : The deci­sion to switch your loan from one lending institution to another is called refinanc­ing. People generally tend to switch when another lender charges a much lesser interest rate. Registration Value : This is the value of the property at which the property is registered. Sale deed : An agreement in writing which transfers the ownership of the proper­ty in exchange for a price paid. It is imperative that this document is registered. Sanction letter : On ap­proval of the loan communi­cation is sent by the lender to the borrower. This letter con­veys the sanction terms and conditions. Survey : The determina­tion of the exact boundaries and location of a property. Tenure of loan : Number of years for which the loan is given. Title : The right and inter­est over the property evi­dencing ownership. A ti­tle deed is a statement, which confirms that the current owner legally holds title to the property. Valuation : Valuation is a professional assessment of the property's value, which is required by the lender. Underwriting : The process of evaluating a loan application to determine if the loan is acceptable to the lender.